Here’s hoping you had a happy US Thanksgiving this past fourth Thursday of November. My family in Canada celebrated that country’s Thanksgiving on Oct. 13; it’s the second Monday of October up north where the harvest comes earlier. As for my family down south in Guatemala, that long-suffering country gets no Turkey Day at all. 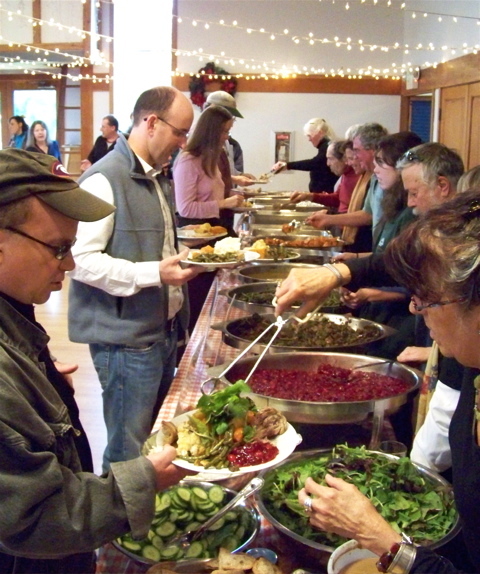 In Point Reyes Station, approximately 225 guests and 25 volunteers took part in the West Marin Community Thanksgiving Dinner. 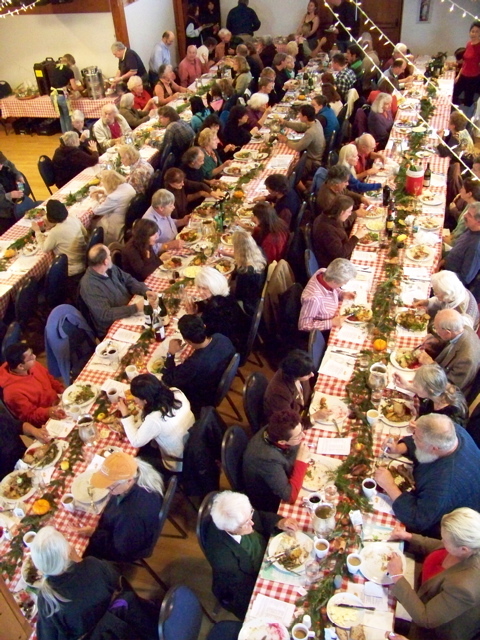 For the second year, the feast was held in the Dance Palace, with diners filling the main hall and most of the church space. West Marin Community Resource Center organized the event, but numerous groups ranging from the Inverness Garden Club to the Marin County Fire Department helped with preparations. Here volunteers served a line that stretched around the room. All fall I’ve been seeing wild turkeys along West Marin’s roads, but I hadn’t spotted any on my own property until this flock of eight hens showed up appropriately enough on the eve of Thanksgiving. Clucking contentedly, they dug small holes in my pasture before moving on. Wild turkeys, of course, are not native to West Marin. 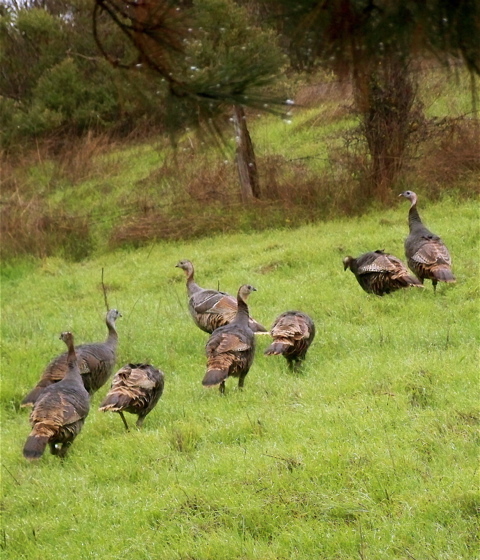 Working with the California Department of Fish & Game, a hunting club in 1988 introduced the wild turkeys on Loma Alta Ridge, which overlooks the San Geronimo Valley. The original flock of 11 hens and three toms all came from a population that Fish & Game had established in the Napa Valley during the 1950s. 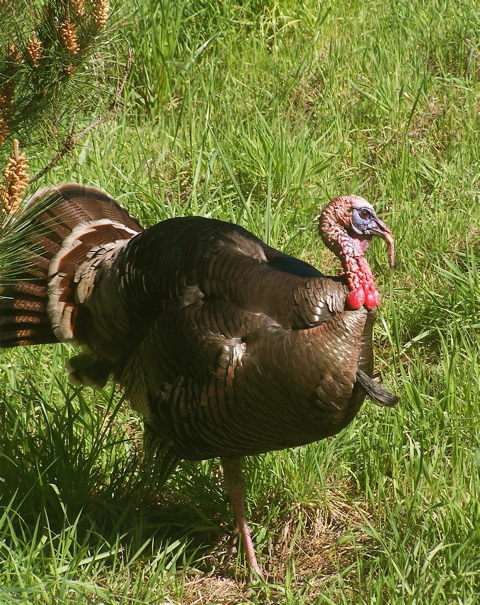 There’s not much turkey hunting in West Marin these days except by Point Reyes National Seashore staff trying to exterminate them where it can. On private lands, however, the turkeys can usually find a haven. I am trying to get in touch (I lost the number) with the people in town who organize the big Thanksgiving dinner for everyone, and who need volunteers to serve, etc. I had called them to say I was going to volunteer, but I just moved out, as soon as I got a room elsewhere, because I was renting a little room with hardly any heat (indecent) in Inverness Park. So I am far from there now and unable to volunteer unfortunately. Could you pass the message or send me a phone number I could call? 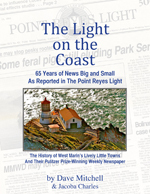 I believe you are looking for the Community Resource Center of West Marin, 663-8631. Sparsely Sage and Timely is powered by	WordPress 4.9.10 and delivered to you in 0.332 seconds using 52 queries.